There are some great riding roads around the Central Tablelands of NSW, with several of them benefiting from being sealed in the last few years. 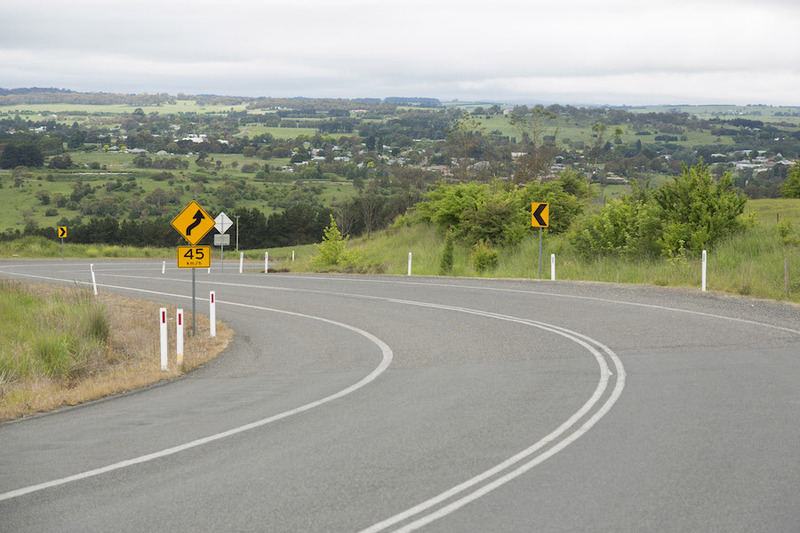 This ride is one such road that is perfect for riders making their way through the picturesque valleys and farming country of the Hume region. It also makes a great leg for longer riding routes out of Sydney or Canberra. 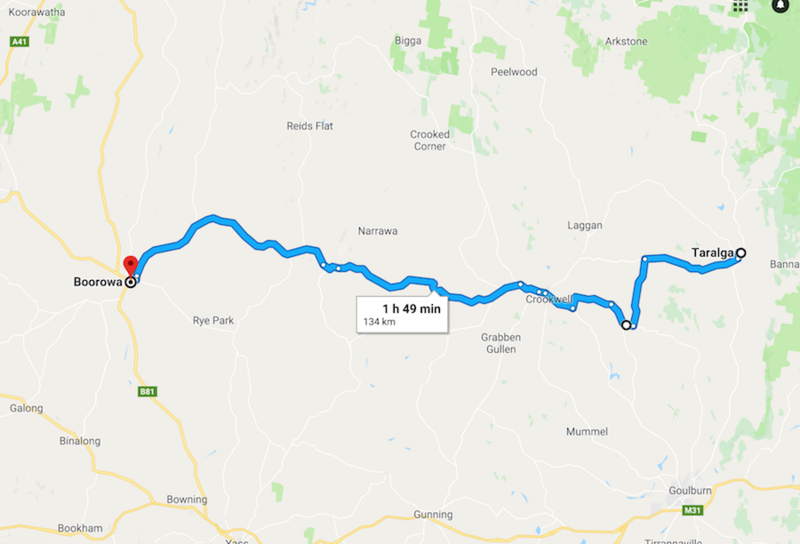 The ride distance from Taralga to Boorowa is around 120km and follows a fairly direct course from east to west. 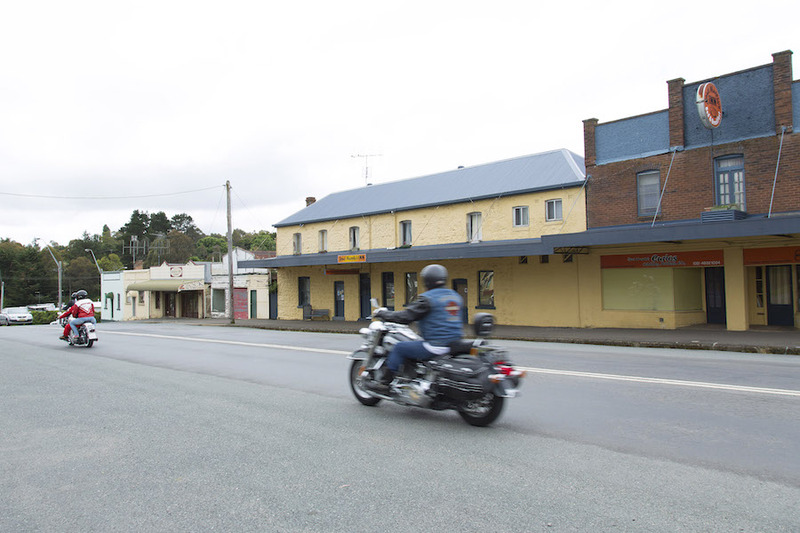 Take the turn towards Laggan at the Taralga Hotel on the main street of Taralga. The road starts as a great set of open sweepers as it winds past the turn off to Roslyn and on to the small village of Laggan. 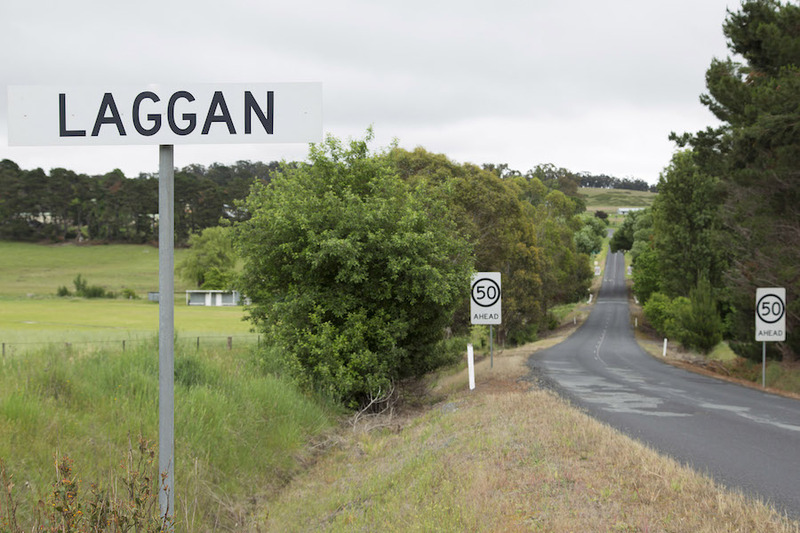 Turn right at the intersection in Laggan if you want to have a look at some of the old buildings dating back to the areas pastoral beginnings, or go straight through to continue your ride on to the larger centre of Crookwell. There are some nice views across the valley through this part of the ride and the road surface is good for the most part. 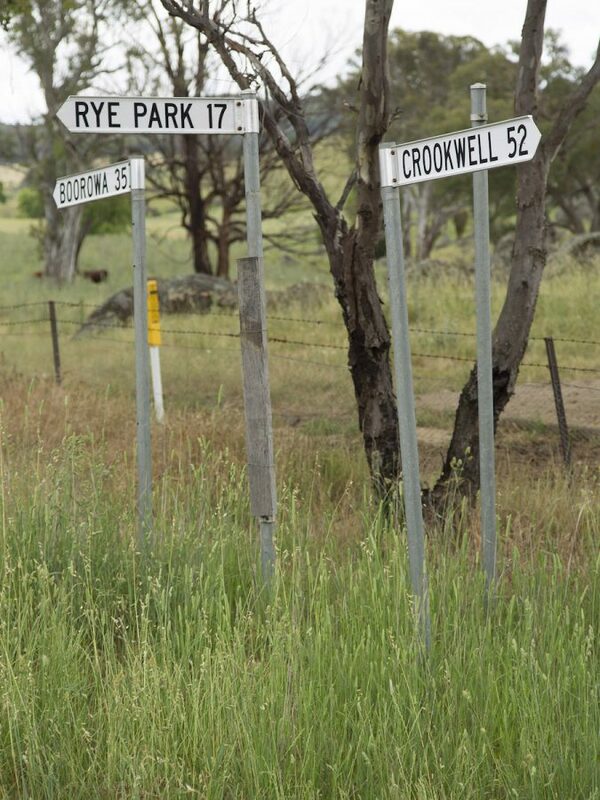 At Crookwell a left turn on the main street takes you into town for the hotel, cafes, etc. This route veers right here and takes you up the hill via a set of awesome tighter corners with views back across the town and surrounding countryside. A few more kilometres up the road watch out for a turn off to Narrawa Road on the left which is signposted to Boorowa. This is a great strip of bitumen with mainly mid to fast corners as you wind your way further west. We have generally found the traffic to be light with mainly motorcycle groups and clubs in the know using the road during the weekends, as well as locals. Continuing the ride you pass through the small settlement of Rugby where there is little more than a public school and a few dozen houses along the main road. 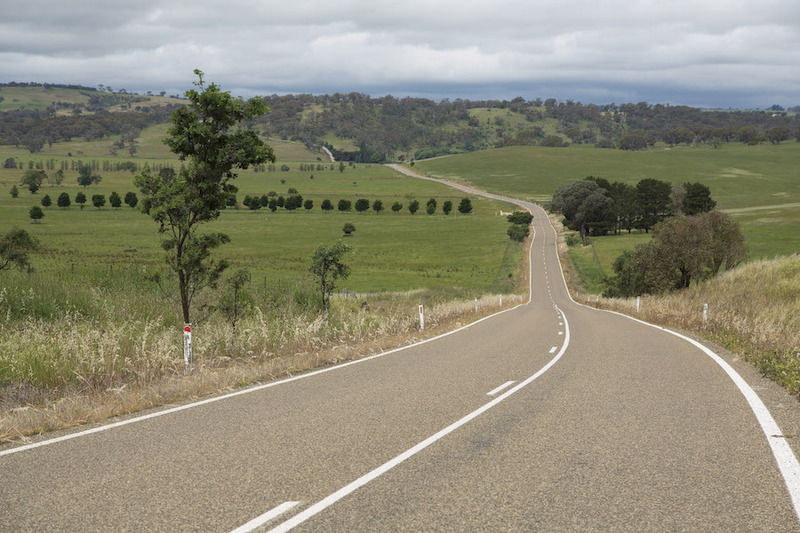 There is still another 30 kilometres of great riding as you thread your way through the farming properties before the landscape and road opens up a little just before you enter the larger town of Boorowa, the destination for this particular ride. There is some great scenery along this route and the roads are good for all types of bikes, with little in the way of hazards or traffic to slow you down. It is not a widely known riding road but is an excellent alternative to the highway further south and can easily be incorporated into a longer route, either across the Blue Mountains to Sydney or through the agricultural towns that lead to Canberra in the south. We will feature more on these options to extend the ride in coming issues. There is fuel available in Taralga, Crookwell, and Boorowa, although opening hours for several of the servos seems to be a little random on weekends. There are plenty of food and accommodation options also available along the route, with several great pubs at either end being the pick for us. Directly across the road from the Taralga Hotel you will find a mechanical workshop run by Col. If you have a mechanical problem and need a little help our hot tip is to go for a wander and find him. There is little else other than a few mechanical shops in Crookwell that are generally closed on the weekend. The Taralga Hotel serve meals seven days a week, have reasonably priced clean rooms, and even have undercover motorcycle parking out the back. Very rider friendly. 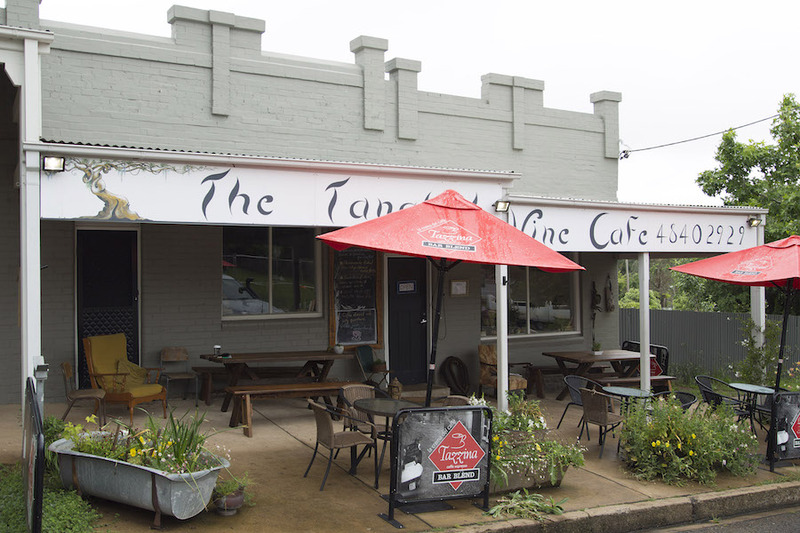 The Tangled Vine Café is on the main street of Taralga opposite the Argyle Inn pub. Owners Steve and Stefanie have renovated the place and now offer an excellent menu including great coffee. It’s open seven days a week. (02) 4840 2929, and tell ’em we sent you for preferential treatment! When you get to the Tangled Vine Cafe, tell ’em AMCN sent ya! There is not a great deal on offer as far as regular attractions and activities along this route but there are some great old buildings and historic landmarks to see if you look around. Taralga, Crookwell, and Boorowa all have interesting buildings with many having been renovated and given a new lease on life. The sausages at the Binalong Butchery are well worth the 32km dash south from Boorowa and even come wrapped in newspaper and string for a true old-world experience. While a lot of the area was predominantly pastoral and general agriculture, as you move further north there are signs of the pioneering gold rush days visible throughout the small towns you pass through. There is a detour you can take just before the town of Rugby if you are looking to mix it up a little. The left turn to Rye Park starts with half a dozen kilometres of good dirt and gravel road before turning into a narrow but sealed ride into the village of Rye Park. 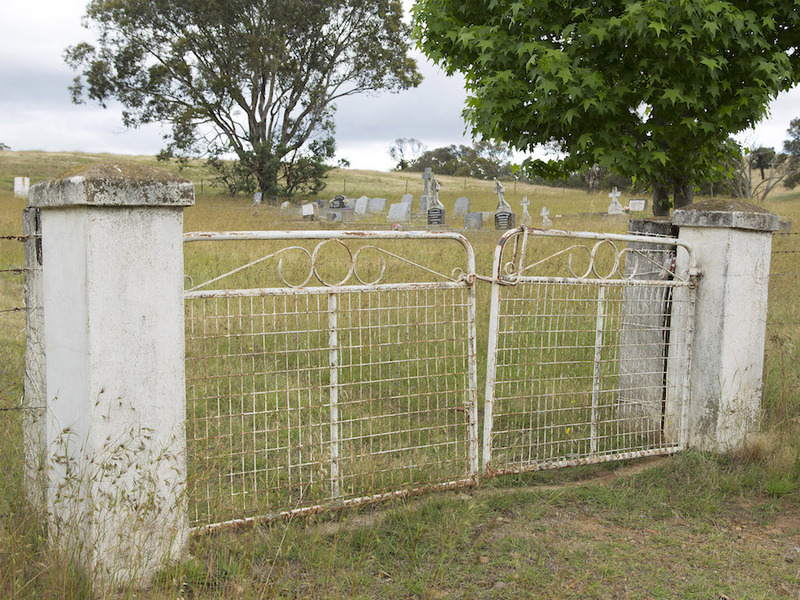 As you enter the village, a sealed road on the right leads directly to Boorowa past the rural properties and open farmland. Alternatively, you could ride straight through town if you are heading for Canberra and follow a couple of more interesting routes south, but these all include longer unsealed sections better suited to bikes with some dirt road ability. Whichever way you head take care late in the afternoon as the area has a large population of roos.